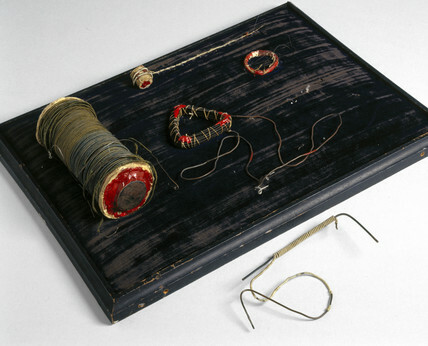 Coils used by the English chemist and physicist Michael Faraday (1791-1867) in one of his most famous experiments. Faraday discovered that although the coils were not actually connected to each other, electricity was produced in one coil every time the electric current through the other one changed. He realised that the 'induction' of electricity in the second coil could be explained only by the presence of such a magnetic effect in the iron core. Faraday gave these coils to Jane Barnard, his niece and adopted daughter.